“Major events have a role to play in church life, but the bedrock of gospel ministry is low-key, ordinary, day-to-day work which often goes unseen. Most gospel ministry involves ordinary people doing ordinary things with gospel intentionality. Whether it is helping a friend, working at the office or going to the cinema, there is a commitment to building relationships, modeling the Christian faith and talking about the gospel as a natural part of conversation. People often ask if they can come to see our ministry at The Crowded House. But all there is to see is ordinary people doing ordinary things…” (page 61). I have talked with TCH members who are passionate about brainstorming new ministry possibilities. There are many ministry activities that are actively being planned for and could be launched if there are enough people from The Greenhouse interested in rallying for the activity. Some activities that already exist include: youth club, litter pickup, toddler groups, outdoor adventures and creative writing. My personal favorite is "PHAB," which stands for physically disabled and able-bodied group. Gareth Bagnell is a good mate of mine and is the leader of PHAB. Gareth told me, “It is a social club for physically disabled and able-bodied young people, aged 14 to 30. We love to do trips, holidays, swimming, sports, arts, crafts and outdoor pursuits.” I’ve been blessed by Gareth’s friendship. He values God’s sanctity of life and how God has created every person with equal dignity, value and worth, while also displaying God’s unique design in everyone. Our CCP team has been blessed by The Green House group and their drive to strategically and intentionally share the gospel in the ordinary. Gareth (pictured left) explains what his Green House idea is all about. Well, the week has finally come to an end and the Euro Cup is underway! 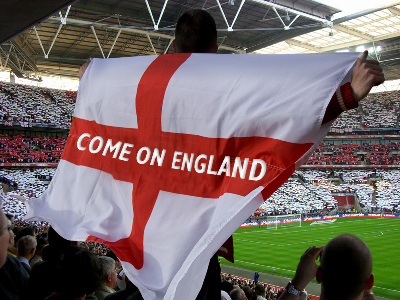 We are excited to witness this event in a country so very passionate about football. God's faithfulness, despite repeatedly encountering apathy, atheism and extreme brokenness among Uni students has been real to us. As it will be our fifth full week being on campus, we have been aiming to follow up with the many relationships we have begun over the earlier weeks. There are many relationships we have made or will have the opportunity to follow up with in the coming weeks whether it be playing sports, grabbing lunches/tea, shopping, or (hopefully) visiting the Lake District. So pray for softened hearts, Godly conversation, fear of God (and not man), and opened eyes for our new friends to see and desire the Gospel to be true in their lives. I would also ask for prayer, for patience and continually renewed faith on our end. Pray that we would be rejoicing in God using us, whether we see the fruit or not. Thank you all again for your prayers and support! Feel free to page through the slide show posted below. 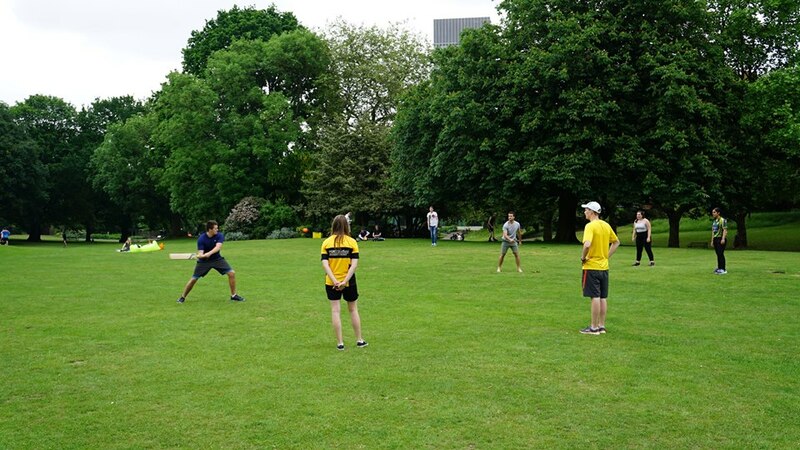 Our first Cricket outing at Weston Park with English students was a hit! The UEFA Euro 2016 is currently being held in France from June 10 to July 10. TCH strives to have the whole family be part of a Green House gathering. What used to be elegant fences connecting Sheffield’s houses were snipped down to stubs because of the need for metal during WWII. We had the privilege of singing music written by the TCH worship band that was recorded for their next album!